The Wireless Set No. 62 is a general purpose transceiver for vehicle use. It can also be manportable (as can a Sherman Tank if you have enough troepe, but I digress...). 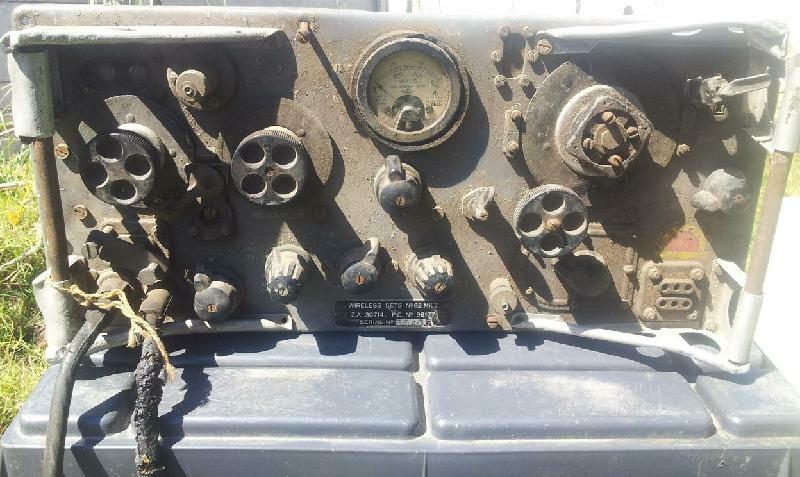 Used from 1945 to the sixties, it provides 1 Watt AM or CW on a good day. Frequency coverage is 1.6 MHz to 10 MHz. Read this excellent article over on the Pye Telecom History website for more about the history of the WS62. Yes, it looks like it was in the war but it actually wasn't. Note the REME INSPECTORATE sticker above the socket on the lower right-hand side. My example is very dirty, but actually in much better condition than it appears. All the CV1331 valves are missing and so is the rotary converter but this is definitely a project not a basket case. They made 7350 of these during World War II, but the vast majority of sets are post-war. Doesn't look like the designer of the tally plate envisaged five-digit serial numbers though. This is a Mark II, serial 30432. PA8ESY's set is a Mark 5, serial 33530. Looks like the design stayed stable for a long time and then rapidly changed a few times. As you can see the heater voltages and currents differ. This leads to a rather interesting heater chain. Alan Cordwell has a WS62 he actually uses.